1. Login to EPF website using your UAN number and password. 3. 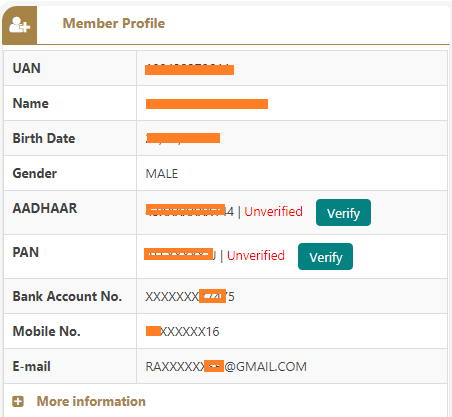 For Aadhaar verification click on Verify button available beside your Aadhaar number(if your Aadhaar number is correct). 4. For PAN verification click on Verify button available beside your PAN number(if your PAN number is correct).